ZOUBERBUHLER, SEBASTIAN, businessman and office-holder; b. 1709 or 1710, probably in Switzerland; d. 31 Jan. 1773 in Lunenburg, Nova Scotia. Sebastian Zouberbuhler is known to have been in North America during the 1730s. As agent for Samuel Waldo*, a land speculator, he operated in South Carolina and Massachusetts. In 1743 a committee of the General Court of Massachusetts found the two men at fault for neglecting the German Protestants whom Waldo had recently settled in the eastern part of the colony, in what is now Maine. As a captain in Waldo’s unit, the 2nd Massachusetts Regiment, Zouberbuhler fought in the attack on Louisbourg, Île Royale (Cape Breton Island) in 1745. During his stay at occupied Louisbourg, Zouberbuhler bought and sold lumber, cattle, and coal, apparently on his own account as well as Waldo’s. He moved to Halifax, Nova Scotia, in 1749 or 1750, after Louisbourg had been returned to France. In 1750 he secured permission to import into Halifax 40 chaldrons of coal dug during the occupation; in the autumn he was in Louisbourg and sold three ships to French residents. He also represented Joshua Mauler at Louisbourg in 1749 or 1750. A shrewd and intelligent man, familiar with the English, French, and German languages, Zouberbuhler soon became one of the government agents dealing with the foreign Protestants in Nova Scotia. In 1753 he and John Creighton* were sent as magistrates by Governor Peregrine Thomas Hopson* to the new settlement of Germans, French, and Swiss called Lunenburg. Already suspicious of Halifax rule, the inhabitants feared that their interests were being neglected by profiteering merchants and officials. When Zouberbuhler was thwarted in his efforts to stop the widespread smuggling of rum into the town (probably by New Englanders), he advised the licensing of taverns to regulate the trade. This action was resented by some settlers. In December 1753 Zouberbuhler became the scapegoat when smouldering discontent erupted. A rumour spread through the town that Jean Pettrequin* had a letter from London asking whether the settlers were receiving the abundant supplies which the local government had been directed to give them. Some settlers seized Pettrequin in an attempt to get the letter as evidence of corruption and neglect on the part of local officials, but he was freed by the commanding officer at Lunenburg, Patrick Sutherland*, Zouberbuhler, and others. A mob then recaptured Pettrequin and shut him in a blockhouse, demanding that he produce the document. Frightened, Pettrequin then claimed that Zouberbuhler had taken it from him. When pursued by the mob, Zouberbuhler took refuge in another blockhouse, where he was protected by some of Sutherland’s soldiers. 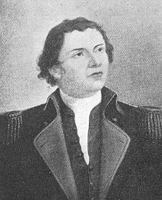 Sutherland had sent to Halifax for reinforcements, and when the troops under Robert Monckton arrived an investigation was launched. Pettrequin declared that he had never had possession of the letter but that it had been read to him by John William Hoffman, who had encouraged him to spread the news of its contents. Hoffman had been justice of the peace among the foreign Protestants when they were in Halifax but had been deprived of his commission and replaced by Zouberbuhler. He was subsequently tried in Halifax for his part in fomenting the disturbances at Lunenburg and was sentenced to a two-year prison term and a £ 100 fine. Despite Zouberbuhler’s apparent vindication, resentment against him may have persisted. He was defeated in the election to the first House of Assembly in 1758 but elected the following year for Lunenburg Township. 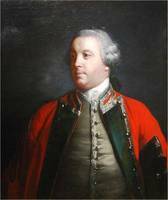 Re-elected in 1761, he was appointed to the Council by Lieutenant Governor Montagu Wilmot* in 1763. His attendance at Council meetings was sporadic, especially after 1764; his duties as chief magistrate in Lunenburg and his private affairs seemed more important to him than his presence at the Halifax-dominated Council. He was active in the firewood and lumber trade in Lunenburg County. By judicious purchases he acquired several properties in Halifax city and Lunenburg town and county. With that incredible speculator Alexander McNutt* and four others he obtained during the great land-boom of 1765 a grant of 125,000 acres between Annapolis Basin and St Mary’s Bay. An attempted land-grab in which Zouberbuhler and other councillors would have helped themselves to 20,000-acre grants was not allowed by the Board of Trade in England. Zouberbuhler obtained only 5,000 acres; even his title to that seems to have been questionable. An ardent churchman, Zouberbuhler led the fight to have a German-speaking Church of England minister appointed to Lunenburg and opposed any intrusion of Lutheran and Calvinist preachers. He was also interested in education and gave a “handsome subscription” toward the erection of a school at North West Range (North West, N.S.) where many of the Montbéliardians, French Protestants who had been assimilated into the Church of England, had settled. Zouberbuhler died, apparently of gout, at his home in Lunenburg in 1773. His two large land grants had been transferred before his death to James Boutineau Francklin, son of Michael Francklin. The rest of his property went to his daughter Catherine, Mrs Silver. A codicil ordering partial repayment of a loan received during his time in South Carolina was set aside as having originated in an unsound mind. AN, Section Outre-mer, G3, 2041/1. Halifax County Registry of Deeds (Halifax). Mass., Office of the Secretary of the Commonwealth, Archives Division (Boston), “Mass. archives,” 15A. Mass. Hist. Soc., Knox papers, 50; Waldo papers, 1743–44. PANS, MG 4, no.103 (Canon E. A. Harris’ notes on Lunenburg County families); MG 7, Shipping registers, Halifax; RG 1, 164. PRO, CO 217/13, f.83. Royal Gazette (Halifax), 16 Feb. 1773. Directory of N.S. MLAs. Beck, Government of N.S. Bell, Foreign Protestants. Brebner, Neutral Yankees; New England’s outpost. S. D. Clark, Church and sect in Canada (Toronto, 1948). M. B. DesBrisay, History of the county of Lunenburg (2nd ed., Toronto, 1895). R. E. Kaulbach, Historic saga of Lehève (Lahave) (Lower Sackville, N.S., 1971). Murdoch, History of N.S. H. L. Osgood, The American colonies in the eighteenth century (4v., New York, 1924), II. Appendix. A. A. Mackenzie, “ZOUBERBUHLER, SEBASTIAN,” in Dictionary of Canadian Biography, vol. 4, University of Toronto/Université Laval, 2003–, accessed April 26, 2019, http://www.biographi.ca/en/bio/zouberbuhler_sebastian_4E.html.